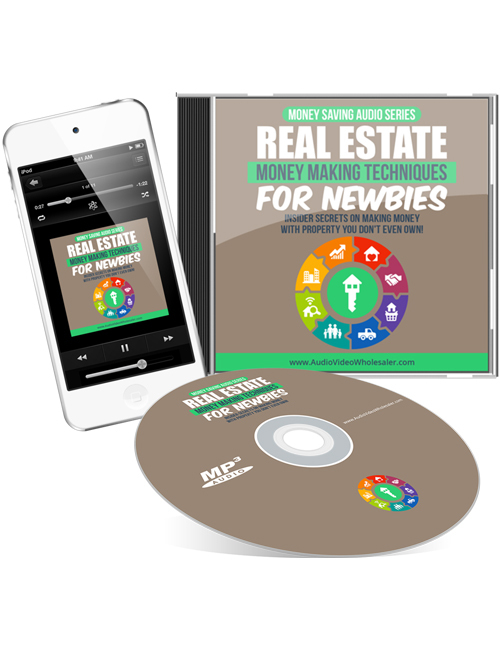 Real Estate Money Making Techniques For Newbies is a hot 5 part audio download that shows you what’s possible in the world of real estate. There’s massive money to be made in selling real estate and this audio covers the essential topics to show you how to do it. One of the best things about real estate is the potential to make tremendous money, especially if you can close deals for massive commercial properties. There are a lot of techniques involved if you want to get to the top level of selling and this audio is definitely one you want to get a hold of if the real estate industry is something you’re on the fence about but needing a little motivation. Some of what you’ll learn include the philosophies and realities of real estate, gaining buyers and finding sellers, making your move, handling contracts and making money and much more. This is a golden learning experience and now is the time to make things happen. Grab this audio now and move forward.